April 16, 2011 - B/E Aerospace, a leading manufacturer of aircraft cabin interior products and distributor of aerospace fasteners and consumables, announced the Company has been selected by Deutsche Lufthansa AG (“Lufthansa”) to outfit its new-buy A330 aircraft and to retrofit its current fleet of A330 and A340 aircraft with B/E Aerospace next generation business class seating. The awards are primarily for the retrofit of Lufthansa’s existing A330 and A340 aircraft and are initially valued in excess of $100 million. B/E Aerospace will provide Lufthansa with jointly developed and customized business class seats designed to maximize passenger comfort and living space. "We are honored to have been selected by Lufthansa for this award which further solidifies our partnership with one of the world’s largest and leading global airlines. Our patented business class seats will provide Lufthansa’s premium class passengers with outstanding comfort and functionality,” commented Amin J. Khoury, Chairman and Chief Executive Officer of B/E Aerospace. The Airbus A330 is a large-capacity, wide-body, twin-engine, medium- to long-range commercial passenger jet airliner. It can accommodate up to 335 passengers in a two-class layout, or carry 70 tons (150,000 lb) of cargo, with a range from 4,000 to 7,250 nm depending on variant. The Airbus A340 is a long-range four-engine wide-body commercial passenger jet airliner. 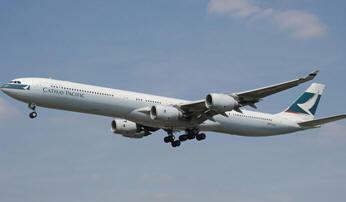 Developed by Airbus Industries, the A340 is manufactured at Toulouse, France. It seats up to 375 passengers in the standard variants and 440 in the stretched -600 series. Depending on the model, it has a range of between 6,700 to 9,000 nautical miles. It is similar in design to the twin-engine A330 with which it was concurrently designed. Its distinguishing features are four high-bypass turbofan engines and three-bogie main landing gear. Airbus manufactured the A340 in four fuselage lengths. The initial variant, A340-300, entered service in 1993, measured 194.8 ft, followed by the shorter -200; the stretched A340-600 was a 52.2 ft stretch of -200. This particular variant was developed alongside the shorter A340-500, which would become the longest-ranged commercial airliner until the arrival of the Boeing 777-200LR. The two initial models were powered by the CFM56-5C, rated at 34,000 lbs, while Rolls-Royce held exclusive powerplant rights to the extended-ranged and heavier -500 and -600 models, through the 60,000 lbs Rolls-Royce Trent 500. Initial A340 versions share the fuselage and wing of the A330 while the -500/-600 models are longer and have larger wings.